Where is that place called Svalbard? Some people make a big deal of seeing a total Solar eclipse. Other people enjoy experiencing special things whilst traveling. When some of these come together, a team of 8 (Agnese, Alīna, Anders, Edgars, Everita, Juris, Kristīne, Rūdolfs) for yet another eclipse trip (see 2008 – 2009 – 2012 – 2013) is built. To observe the total Solar eclipse this year we are going to the frozen island of Spitsbergen in Svalbard archipelago which lies only 15° from the North Pole. We are also going to see the icy glaciers and the majestic mountains of this northern land. On the contrary to our last destination Kenya, Svalbard is not abundant with animals, but we still hope to spot some Arctic fox, some reindeer and (from a safe distance) the king of the Arctic – the Polar bear. We also would be very pleased to see a northern lights display. So fingers crossed for all of that! The eclipse is happening in the morning of March 20th. The totality of this Solar eclipse (that’s when the Moon is located perfectly between the observer and the Sun so it fully covers the Sun to our eyes) will be visible in very few places on land – only the Danish Faroe Islands and the Norwegian archipelago of Svalbard, both of them in the Northern Europe. In the Svalbard’s main town of Longyearbyen the totality will last for almost 2.5 minutes. To the right there is a map of the eclipse visibility. The light blue ellipse marks partial eclipse. The black ellipse in the centre marks total eclipse. The time in the animation is UTC. The first plans were about going to Faroe islands to see the eclipse – by a ferry. That would be something new for eclipse-tours as we haven’t traveled on sea yet. However, after checking the climate details, this idea didn’t look so appealing anymore – based on the weather statistics in March, 90% of times the sky was cloudy. 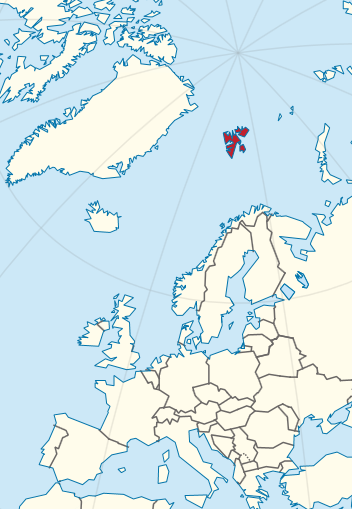 So if we went to Faroe islands, the chance of seeing the eclipse wouldn’t be very great. It was known that the other place to see it would be Svalbard, and the weather statistics looked much better there with only 50% of cloudy skies most of which have had broken clouds. But that place surely lies so far in North that nobody is able to go there without being on some government trip or a private cruise? Turns out that that this assumption is completely wrong. Not only there’s more than 2.5 thousand people living there all the year, they also have regular flights almost every day by 2 airlines. We are arriving in Longyearbyen on 13th of March. Initially the idea was to hire a guide, rent out snowmobiles for a couple of days, and go on some hikes during our 1 week there (richer people can afford to spend more time in this expensive realm of the already expensive Norway). Going without a guide in that vast and cold snow-land wouldn’t be very sensible for people who have never been there. In the end the organised day-tours appeared to be in about the same price as renting things and hiring a guide on our own, so this will probably be the most touristy trip of all. We will have 2 snowmobile day-tours – one to the East coast and the other to the Russian mining town of Barentsburg; 2 hikes – to glaciers and to the top of one mountain, as well as a full day of dog-sledding. Follow us on twitter and blog!